Rumors online are suggesting that Sony’s PlayStation Classic uses PAL versions of certain games. PAL versions of games during the PlayStation era ran at a slower 50Hz, unlike NTSC 60Hz in the United States and Japan. The PlayStation Classic is looking like it will run those PAL versions at 50Hz. On Twitter, Mark Julio posted a tweet about Tekken 3 on the PS Classic. 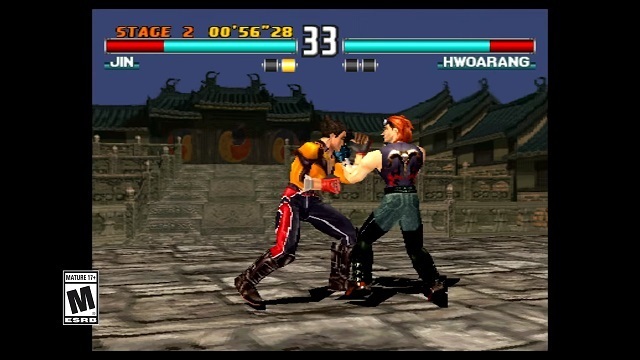 He said, “As I was able to confirm (simply by eyeballing early videos), Tekken 3 on the PlayStation Classic is the unplayable PAL version 🙁 I was hoping to start enjoying that game again, too since it was never re-released (only the arcade version was included in T5).” Julio is a business developer for EVO, a premier fighting game tournament. He also serves as a brand and community advisor for the Tekken series, and has worked with Razer on fighting game products. Julio later clarified that he was indeed viewing the US version of the PS Classic. It’s unclear why these games are based on the PAL release, although it could present issues if they are all running at 50hz. PAL versions of games run slower than other releases, so those playing in North America or Japan will experience a different game than expected. Many games on that list were designed with a 60Hz refresh rate in mind, meaning the experience of playing them will be drastically different. Here’s an example of Sonic The Hedgehog running at the PAL 50Hz and NTSC 60Hz. Some emulators have enabled users to run 50Hz PAL games at a full 60Hz, but issues can crop up. The PlayStation Classic is built on the open source PCSX emulator, which includes options to force 60Hz on PAL games. It is unclear whether or not Sony has included that option, or otherwise ensured games run at the correct speed. A further issue that could stem from the use of 50Hz games is how they will interact with 60Hz and higher TV refresh rates. HDTV’s generally run at at least 60Hz, and could display the 50Hz games incorrectly.